Audi driver Frederic Vervisch beat the new Lynk & Co 03 of Yvan Muller to a surprise pole position in Sunday's second World Touring Car Cup qualifying session in Marrakesh. 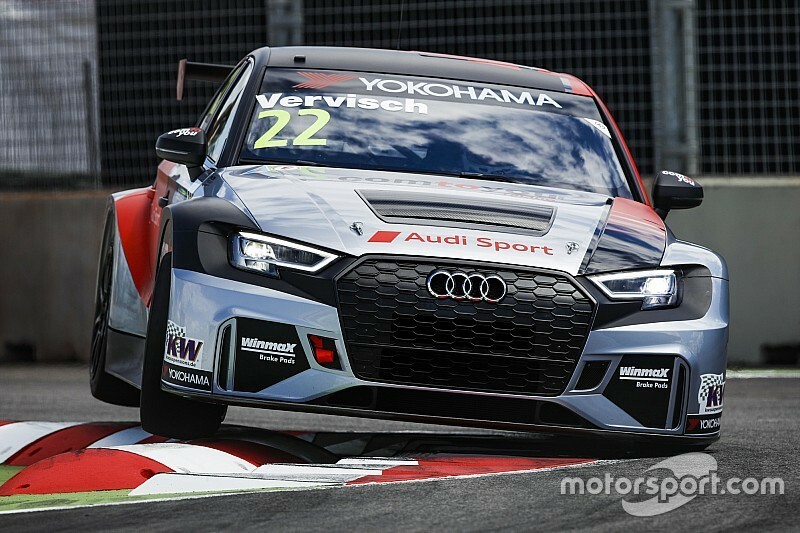 Vervisch topped the times in the second part of qualifying, then stayed on top in the pole position shootout segment to secure first on the grid for Sunday's third race of the weekend and his first WTCR pole. The Comtoyou driver chose to run second in the Q3 order by dint of leading the times in Q2 - as part of new WTCR qualifying rules for 2019 - and recorded a 1m24.721s lap of the Moulay El Hassan circuit. That time was 0.131 seconds slower than the Belgian had managed in the second part of qualifying, but it was still enough to hand him pole by more than three tenths of a second. Muller was the first man behind Vervisch in the order to attempt to beat that lap, but could not improve on any of the benchmark sector times and ended up setting a 1m25.091s. Teammate Thed Bjork was a further tenth behind in the second Cyan Lynk & Co 03 and will start race three from third, while Tiago Monteiro - who ran last in the shootout - was fourth in the lead Honda Civic Type R.
In only his second WTCR qualifying session, Mikel Azcona was the only Cupra driver to progress from the opening segment and was then second fastest in Q2, before ending up slowest in the shootout. 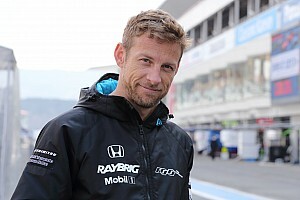 He nevertheless earned a bonus point for qualifying fifth, to add to the point he secured in Saturday's opening race after being demoted from a ninth-place finish for hitting Norbert Michelisz. Yann Ehrlacher was fastest of those who missed out on a spot in Q2, falling 0.064s short of his uncle Yvan Muller's time in his Lynk & Co 03 and ending up sixth. Saturday race winner Esteban Guerrieri could not repeat his pole position form of Saturday and was seventh, leaping ahead of Jean-Karl Vernay's WRT Audi RS3 LMS to take seventh with his final lap after reporting damage to his splitter in Q2. Neither of the BRC Racing Hyundai i30 Ns that made Q2 were able to challenge for a place in the pole position shootout, but Nicky Catsburg will start the reversed-grid race from pole after qualifying 10th. He will share the front row for that race with reigning champion Gabriele Tarquini, who was 0.082s faster than his Dutch teammate in the second part of qualifying. Nestor Girolami (Munnich Motorsport Honda) and the second WRT Audi of Gordon Shedden will start both races 11th and 12th. A number of big names fell at the first hurdle in a particularly frantic first part of qualifying, in which 24 cars were covered by one second. Ma Qing Hua was the first of those below the cut, missing out on a place in Q2 by 0.037 seconds. While Tarquini and Catsburg made the second part of qualifying, fellow BRC drivers Augusto Farfus and Michelisz both missed out. Andy Priaulx was another surprise casualty in the fourth Cyan Lynk & Co, a day after he started then finished his first World Touring Car race since 2010 in fifth. The three-time world champion was 17th, two place ahead of compatriot Rob Huff - who was again fastest of the Sebastien Loeb Racing Volkswagen Golf GTIs. 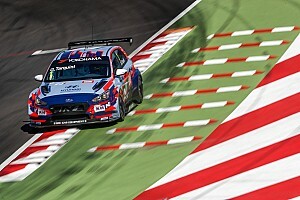 Huff's teammates Mehdi Bennani, Johan Kristoffersson and Benajmin Leuchter will start both of Sunday's races 23rd, 24th and 25th respectively - ahead only of the Comtoyou Cupra of Aurelien Panis, who was unable to set a representative time in Q1.